Even before the long security lines, the singing of the National Anthem, and Tony Perkins’ use of a goofy toy gavel to call the 2016 Values Voter Summit to order, early risers filled the Empire Room at Washington, D.C.’s Omni Shoreham hotel for a breakfast sponsored by United in Purpose, a Silicon Valley-based organization that uses “big data” techniques to help Christian organizations better understand and motivate their supporters and to help boost conservative Christian voter turnout. The opening prayer at the breakfast was given by Jim Garlow, a United in Purpose board member and anti-gay pastor who made his name in right-wing politics by mobilizing church support for California’s anti-marriage-equality Prop 8. Attendees were given copies of Garlow’s new book, “Well Versed: Biblical Answers to Today’s Tough Issues,” published by Regnery Faith. 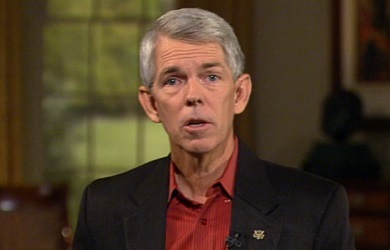 A quick glance suggests that the themes of Garlow’s book will be familiar to anyone who has attended a Religious Right gathering or absorbed the “scholarship” of the Right’s favorite self-proclaimed historian, David Barton: The Bible is a guidebook for government policy on everything from marriage to education and tax policy, and America has lost its way because pastors haven’t been preaching these truths aggressively enough. Garlow writes that his book was written to overcome pastors’ resistance to political preaching, which he blames on legal restrictions on church politicking that Donald Trump has vowed to overturn. The breakfast’s two keynoters, conservative Christian pollster George Barna and Barton, the truth-challenged “historian,” are also, like Garlow, board members of United in Purpose. Barna runs the group’s American Culture and Faith Institute, which is carrying out in-depth longitudinal studies on changing attitudes among church-going Christians. Barton was his fast-talking self, quoting founding fathers, showing slides of colonial-era sermons, and generally contrasting the thundering sermons of revolution-supporting pastors and what he said are whispers coming from today’s pulpits. 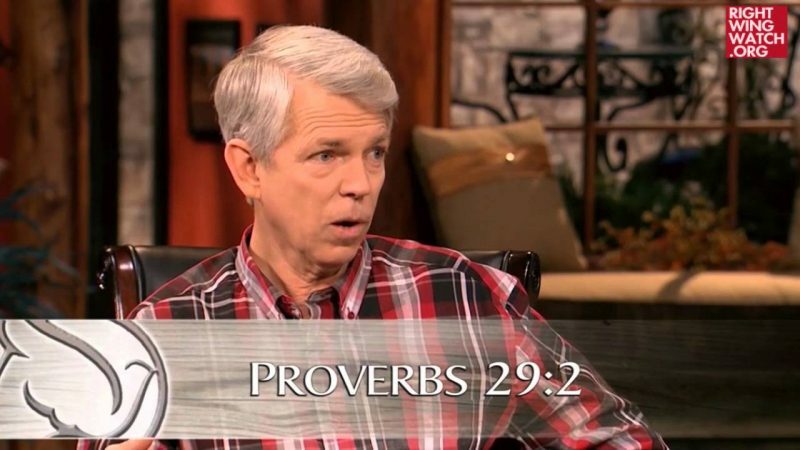 Barton asserted again that the Bible has policy directives on divorce, the minimum wage, the capital gains tax and just about any other issue a politician might confront. Barton said Christians should not think in terms of having a right to vote, but rather a responsibility to vote. 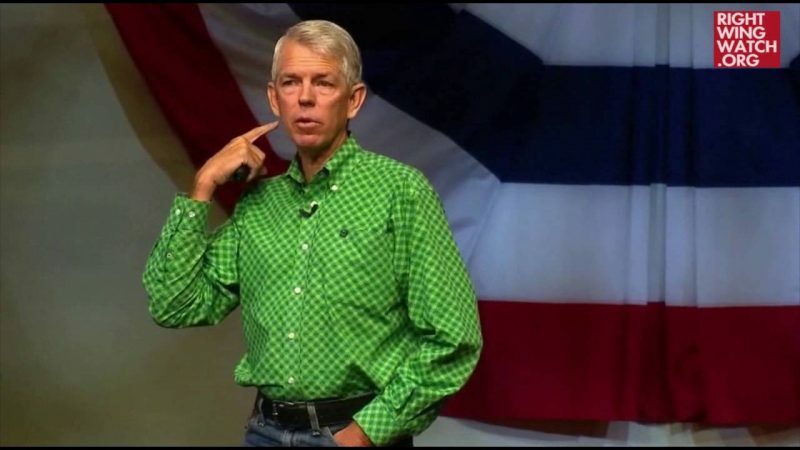 And, in what felt like a clear pitch for evangelicals to view voting for Trump as a biblical mandate, Barton explained that according to the Bible, a nation’s righteousness is not based on the righteousness of its leaders but on the policies they produce. And nothing is more important than the kind of judges a president will nominate and senators confirm, he said. God gave the Israelites 613 laws, he said, and then focused them on His “top ten” priorities. 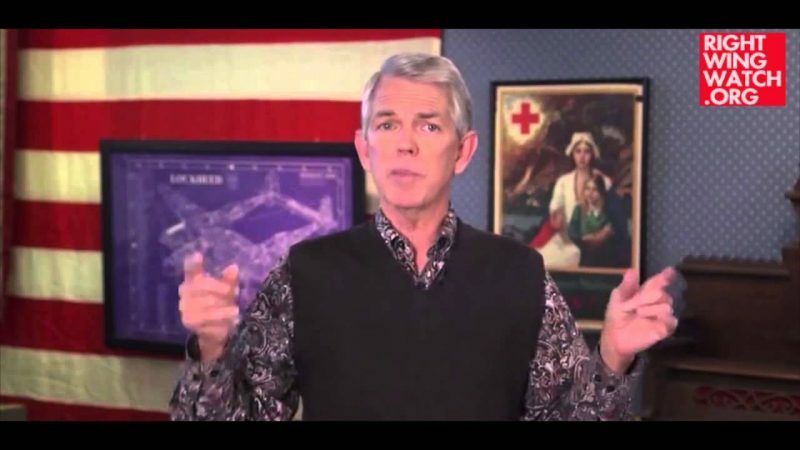 Barton’s conclusion: You might care about immigration or climate change, but those can’t be among your top five voting issues because God says the top five must be abortion, marriage, public acknowledgment of religion, judicial nominations and support for Israel.